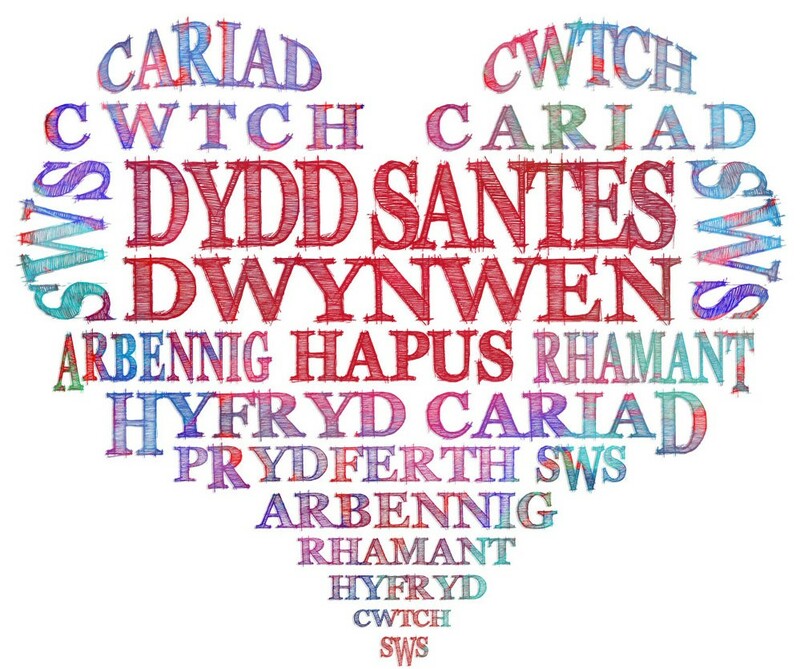 Happus Dydd Santes Dwynwen – each year on the 25th January the Welsh celebrate St Dwynwen’s Day. St Dwynwen is the Welsh patron saint of lovers. The day is celebrated in Wales like Valentines Day and yes, we are a very romantic country because we also celebrate St Valentine’s day on 14 February! The story of Dwynwen dates back to the 5th century, when Dwynwen fell in love with a Prince called Maelon Dafodrill. Her father, King Brychan Brycheiniog, was determined that she would marry another man. Dwynwen was devastated that she couldn’t marry her true love and begged God to make her forget Maelon. An angel visited Dwynwen and gave her a potion. The potion was supposed to make her have no memory of Maelon and turned him into a block of ice. Dwynwen was then granted three wishes. Her first wish was for Prince Maelon to be thawed and her second wish was that God meet the hopes and dreams of true lovers, with her third wish being that she would never marry. 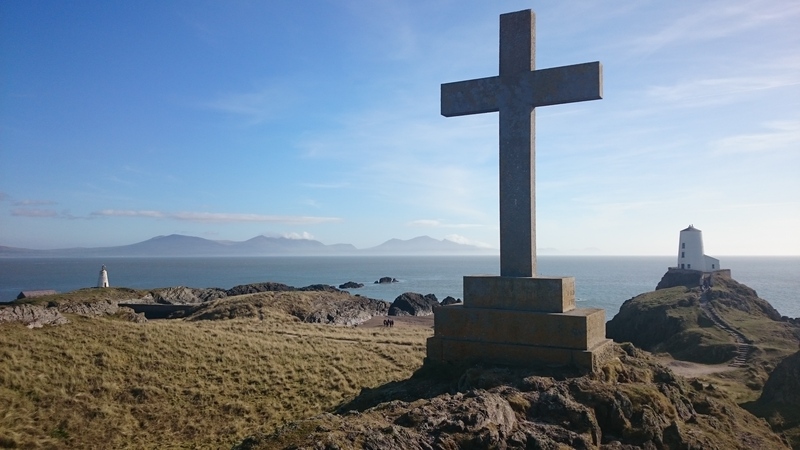 She dedicated her life to God and lived as a hermit on the beautiful island of Llanddwyn, founding a convent, which you can still see the visible remains of today. On the island, there is a well where, according to legend, a sacred fish swims. It is said that the fish can predict the happiness of relationships. Visitors still go to the well today, hoping that the water will boil, meaning that love and good luck will follow them. Dwynwen means “she who leads a blessed life”. 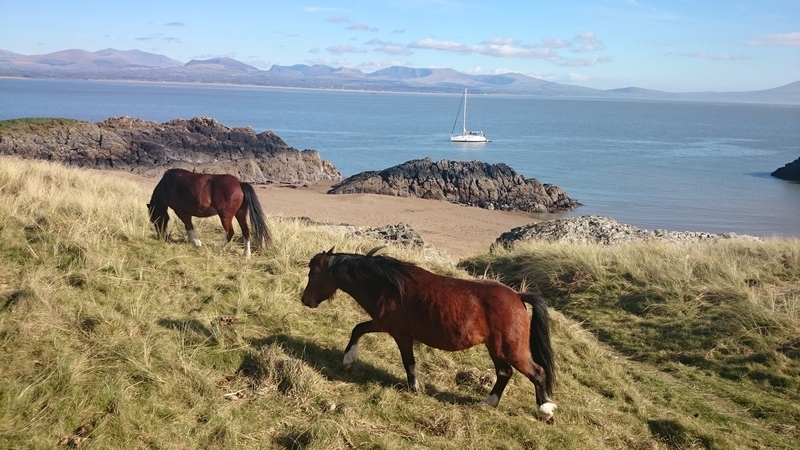 One of our favourite featured short walks is taking our international visitors to visit Ynys (Island) Llanddwyn, which is just off the coast of the Isle of Anglesey. Best described as a piece of Welsh Paradise, which on a clear day provides the most stunning coastal views the views across the Straits to Snowdonia and the Llyn Peninsula. The island has also got a more recent claim to fame as it’s where the romantic thriller ‘Half Life’ starring Demi Moore was filmed. You can enjoy a visit to the island during a tour of the Isle of Anglesey. However, the island is tidal which means when the tide is at it’s highest, the island is cut off from the rest of the Isle of Anglesey, so our visit has to be timed to perfection allowing for the tidal flow of the sea to allow us access to Llanddwyn’s sacred isle. Cruise Passengers are rating our private custom driver guided tour service at Holyhead on the Isle of Anglesey as the best of the cruise on Trip Advisor! We always sell out every time a cruise ship comes into port and many cruise passengers securing their private tour arrangements with us up to a year in advance! So don’t delay in booking if you desire one of the best rated private cruise tour experiences of the whole cruise. 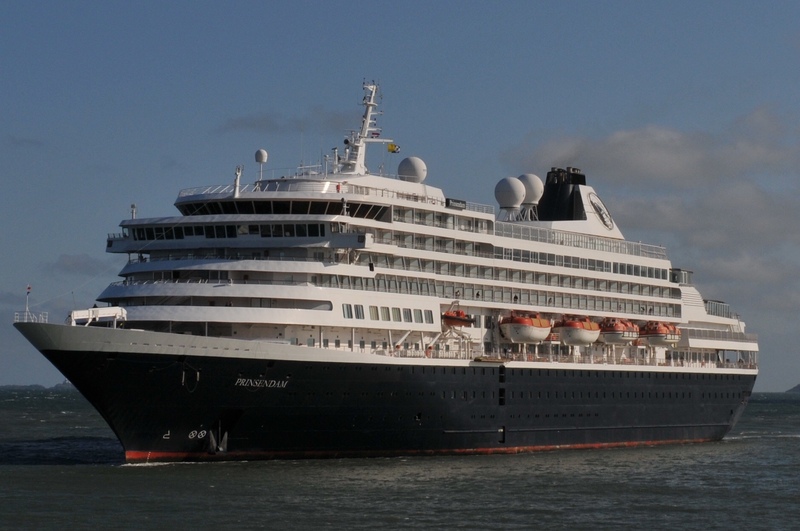 John met our group of 5 at the Holyhead Cruise/Ferry Terminal and we began my favorite port cruise of our 16 day British Isles cruise via Holland America Prinsendam. We did 5 personal tours on this cruise and this Boutique Tour of Wales far surpassed my expectations. With John, you not only have a very comfortable van, a great itinerary which he can change at will upon your request, an incredibly knowledgeable historian and guide, a clever story teller and genuinely super nice guy. John gets my highest marks and recommendation. We came off a cruise ship docked at Anglesey and were met by John for our full day tour. We were two couples from NZ and it was our first visit to the area. John was a wonderful guide, we learnt a lot about the area but also had a great fun day. We got great views of snowdownia, Caernarfon castle and many other stops during the day. We fell in love with the area and really enjoyed Johns knowledge of the area. Our family began our search for a private tour of Wales almost a year before we arrived. It is imperative to start early as the best ones book quickly. We were so glad we chose John of Boutique tours. John quickly responded to our emails and questions we had and made the booking process easy. If you REALLY want to see Wales, contact John, of BoutiqueTours, exceptional service start to finish. You will be glad you did!